Kansas statehood Centennial Colt Revolver. 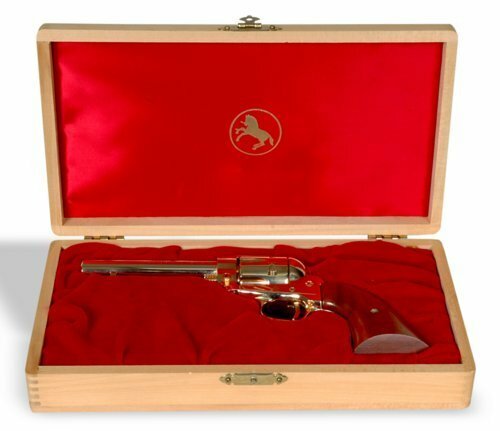 Colt manufactured this gold-plated single-action-.22-caliber revolver in 1961. The commemorative weapon could only be purchased through Kansas dealers. The first revolver in this series was presented to the Governor of Kansas in the year of the Centennial.